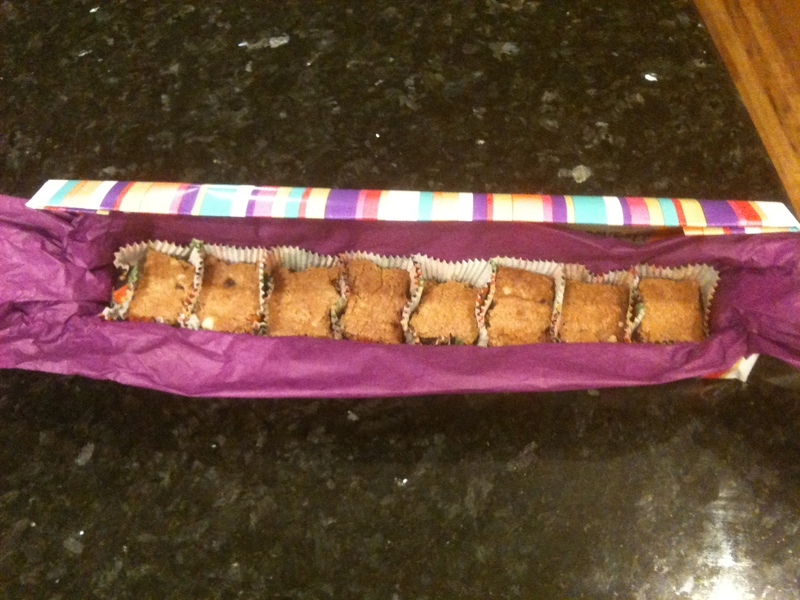 I reused a used-up parchment box as a baking gift box for T’s teacher. The report back was that the Blondies were delicious, and that my packaging idea has earned me a special role in their reuse-reduce-recycling curriculum come Spring. This was my first time doing this, so I better get some more practice; wrapping this box took about as much time as it did to bake the Blondies (I’m not joking).